The garage is an amazingly versatile space. It’s perfect for storing cars, tools, toys, and… junk. 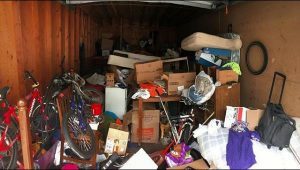 Sometimes it’s all too easy to shove all your clutter and waste into the garage under the guise of “I’ll deal with it later.” However, more often than not, that junk builds into an unmanageable mess of clutter. When that happens, Junk360 is here to help. Let’s tackle that garage together! Maybe your garage is so cluttered you can barely walk from one end to the other. When that happens, here are some items you can toss out immediately that might help make the clutter more manageable. Trash: This one seems obvious, but it’s an easy first step. 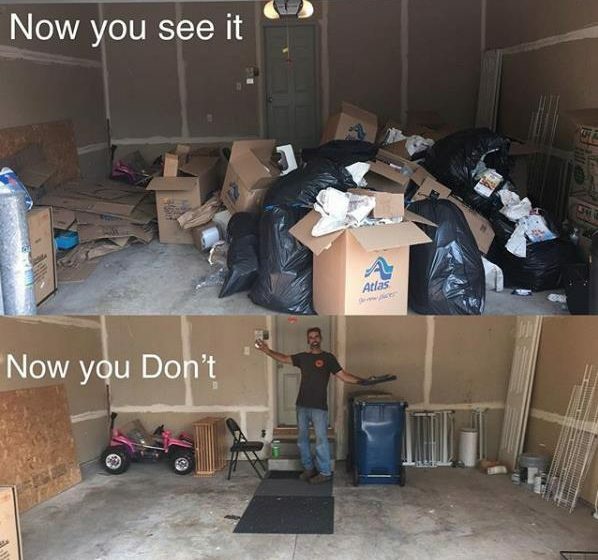 Go through your garage, keeping an eye out for any trash items, such as empty boxes or old paint, that for whatever reason just didn’t make it to the trash bin. Old Decorations: Maybe instead of throwing out faded, dirty Christmas decorations, you simply shoved them in a box in the garage. Keep an eye out for all decor, whether they be for holidays, outdoors, or indoors, that have are well past their prime. Broken or Outgrown Toys: Look around the corners and edges of your garage to find the toys and sports equipment that your children no longer use. If there’s a dollhouse or scooter that’s been collecting dust in the garage for years, it’s time to let them go. Rags and Shoes: No one needs more than one bin of rags, and no one’s worn those grungy shoes in years. All they’re doing is taking up precious space, so why not free it up for something else? Expired Chemicals: The garage is a practical space for storing chemicals. Make sure every item in your collection (fertilizer, antifreeze, and even sunscreen) is still safe for use. 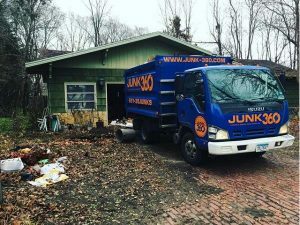 If the process of cleaning out your garage left you with a pile of junk that’s too big for the curb, it’s time to call Junk360. 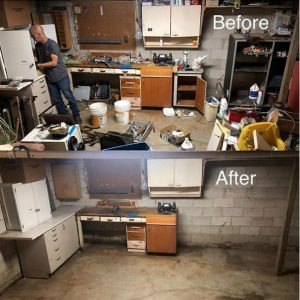 Organize It: In order to make sure nothing ends up in a landfill that doesn’t belong there, Junk360 starts by sorting through everything to find what can be donated, what can be reused, and what chemicals and electronics need to be disposed of separately. Donate It: Some of the items that you decided to toss may still be useful to someone else. We’ll gather up reusable toys, tools, clothing, footwear, equipment, and other items to donate to a local charity, at no extra cost to you! Recycle It: Many items you don’t think of can be recycled are actually recyclable. When Junk360 picks up your waste, we’ll make sure all these materials make it to a recycling center instead of a landfill. Just point at what you want us to remove, and we’ll handle everything else. This leaves you with the time and energy to focus on getting that garage clean and organized. Grouping and organizing items into zones ensures that you always know where to find what you need as well as easily put it back when you’re done. Your garage doesn’t have to be overwhelming. Whether it just needs a quick clean or it’s got garbage bursting through the seams, Junk360 is here to help! 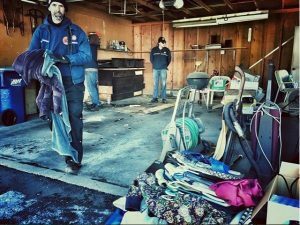 Let us haul away all your clutter so you start using your garage for more than junk storage. Call us today for a free estimate at (651)395-8659 or request a quote online. Together, we’ll have that garage organized in no time!